I have just dug out a very bad photocopy of an article that appeared in the Journal of the Historical Society of N.Z. for May 1963. It talks about the two Libelle's and there is a photo of one but its too bad to reproduce. If the journal still exists it might be worth contacting them to find out what other photos they may have. The address that they give is:- 18 Tirangi st, Hornby, Christchurch 4, N.Z. PS - the landing on the sugar cane train has had us all laughing - I very much doubt it! 1) The first plane in Fiji was a home-made job, built in 1922, by a man called Fleming. Apparently it was a legendary "accident waiting to happen." 2) The next was a British-built Simmonds Spartan bi-plane, brought over and assembled in the streets of Suva by Captain Gordon Fenton, although I don't know what year. Apparently it started its flying life with its wings on backwards. Once the problem was rectified it could fly the 112 miles between Suva and Lautoka in 1 hour and 35 minutes, which apparently was quite a breathtaking achievement for those days. Captain Gordon Fenton went on to found the original Fiji Airways ... except it went broke during the depression and was shut down, and I have no idea when it started up again and who the people were who did it. 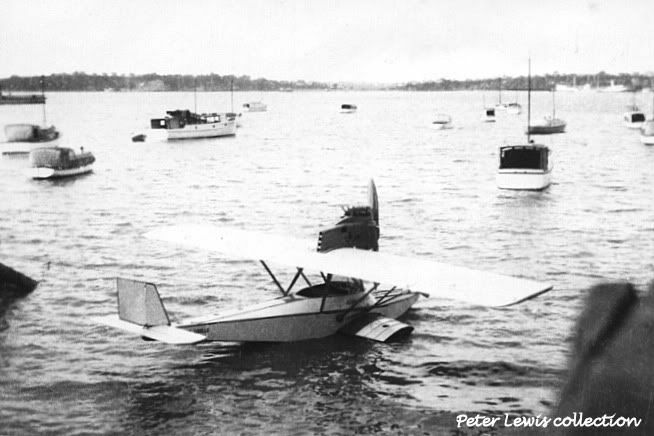 3) Shortly after this bi-plane arrived in Fiji, Alf Marlow imported a 1922 German-built Dornier Libelle flying boat. He loved it so much he brought two more in from New Zealand, including the one which killed famous Kiwi aviator Major Donald Harkness. Legend has it that if Alf got tired of flying his plane during his Suva-Lautoka flights, he used to land it atop the Colonial Sugar Refinery cane train in Sigatoka and let it take him the rest of the way. Dornier Libelle in Germany bought back Marlow's first plane in 1978 for a huge sum of money, because it apparently was the last in the world. I don't know, either, which one of these planes made the legendary reef landings. 5) Sir Charles Kingford-Smith, flying with Ulm, Lyons and Warner, landed The Southern Cross on Albert Park in downtown Suva during the world's first trans-Pacific crossing in 1928. The Hornby address quoted above was the home of the then AHSNZ editor, Derek Woodhall. Derek died a few years ago. AHSNZ is currently run from Wellington, but I doubt that anyone now involved would have first-hand involvement with the 1963 article. The Spartan mentioned would be floatplane VQ-FAA, C G Fenton. That and the Libelle would have been the only (legal) aircraft operating in in Fiji prior to 1933 baring imports (eg the 'Southern Cross Fokker VH-USU mentioned above and DH60G Moth G-EBZY owned by N S Chalmers, Fiji from Sept1929 which crashed Suva 3Feb30). There were then two Genaircos ( an Australian knock-off of a DH Moth) VQ-FAC and VQ-FAD from 1933 and that pretty well sums up the pre-war Fijian aircraft population. I have visited Albert Park at Suva just to check out the 'Southern Cross' landing area - either the park was a lot larger in 1928 or Smithy and Ulm were very brave men. "Spartan. CofA 2403 issued 3.2.30 to Gordon Fenton. Dd 18.4.30 as 3-seater floatplane. Regd VQ-FAA 5.6.30 to CG [Gordon] Fenton. Regd 8.10.30 to Fiji Airlines Ltd.
Regd 23.10.31 to CG Fenton. Regd 19.4.33 to Fiji Airways Ltd. Shipped to General Aircraft Co Ltd [Genairco], Australia and regn VH-UUJ reserved .35 but NTU." I hope this thread isn't too old to continue where you left off. I am the oldest grandson of Donald E. Harkness, the pilot of the Dornier Libelle II that crashed in Auckland back in 1929. I have been reading with much interest the notes discussed here and comparing them with what I know from his WW1 diaries and other writings (he was a wonderful writer). I am now engaged in writing his memoirs. We've learned much about the man we never knew, but little about the plane in which he died, unfortunately. I suspect that is because the event so traumatized his family that they have shunned airplanes ever since. However, his interest in airplanes only skipped one generation as I have had a keen interest in them since I was little. Oddly enough, I began this project when I chanced upon a picture of the Marlow Libelle, the one now in the Deutches Museum, in of all places, a Japanese model airplane magazine (I live in Japan). Somehow, I recognized it immediately even though I 'd never seen it before. it was quite an emotional experience. I resolved then and there to see the plane for myself, and a few years later I did, in the Zeppelin Museum in Freidrichshafen, where it had been transferred for a zeppelin symposium that was held there. Not quite sure what the Libelle had to do with zeppelins except that it roughly parallels the same timeline as the Graf Zeppelin, which is a big display there. It's folding wings also made it easy to transport so that might have been part of the reasoning as well. As we now know, the Fiji plane was one of two that had been acquired by Aerial Services of Auckland. It had stayed crated up in the Customs house waiting for its duty to be paid when the accident with its sister ship happened so it only had to wait for someone to pay the duty for it to be released. After the accident, Capt Man, a partner in the company and the only other man to have flown the crashed plane, accompanied it to Fiji where he sold it to Mr. Marlow. I spoke at length with the curator of the Deutches Museum (or one of them) and he said that they had few details of the Fiji plane. For example, they were completely unaware that it had once been owned by DEH DSC and his company, Aerial Services of Auckland, believing that it had been shipped directly to Fiji instead. He didn't quite believe it until I showed the pictures we had of the first plane and some of the details that I had researched. He also kept asking me what the color scheme was as all they had were some black and white pictures (plus a few more from NZ that I gave him). Dornier had painted the plane all silver to match the few pictures they had of it. My pictures of the plane that crashed also show a distinctly dark trim around the squared corners of the fuselage and tail feathers. This trim is missing from the restored aircraft, if it ever had it. I'm wondering if you, Nicolette, might be able to shed some light on the original colors of the plane your grandfather owned? The curator also admitted that the instruments were probably in the wrong locations as the original dashboard had been in poor shape when Dornier reacquired it for restoration. Without a picture to guide them they simply put the instruments in what appeared to be the most convenient places for them. Any pictures you can share of the Fiji plane, inside and out, would be most appreciated. I have some pictures of the restored aircraft, plus some walk-arounds, that I can share. By the way, after the plane was rebuilt it was given to the grandson of Claude Dornier, the founder of the company, for his 65th birthday. It seems that distant grandchildren are now as interested in these planes as their original owners were. I think possibly a search through the Fiji Times newspaper for 1930-31 may help solve some of the mysteries. I'm a great-grand daughter of old Alf Marlow and found this forum while working on my family history. My grandfather (Alf's son) passed on some information and photos of the Dornier to my dad a few years ago just before he passed. Dad has the old flight logs (including a note of a co-pilot going overboard) and Alf's (or "Pop Marlow" as the family knows him) old leather flying cap. My father (and family) has a long history in aviation in Fiji so he may be able to shed more light on the comings and goings of aircraft and aviation businesses there over the years. I have contacted Dad for his information and sent him the link to this forum and I will post updates as soon as I hear back. It may be a while until I can get scans from the logs but if you are looking for a particular flight or date please let me know. I also have some information dug up regarding Frank Fleming by a descendant of his. Fleming and Marlow were distant relatives by marriage (although I doubt they knew it). I have a link to a blog by this descendant who has the whole story and a newspaper clipping of Frank's attempts to fly in Fiji if you're interested. This blog (and most of my information) is written in the context of family history research and not aviation specific but nonetheless the stories are fascinating as these men were pioneers of their day and they add to the rich history of family, aviation and the islands. Quick update, Dad definately has the logs. He said Alf flew the Libelle himself however the engine kept failing given it was never really made for salt water environments and the constant threat of decapitation by the propellors might have eventually put him off flying it. He also said that Alf's Dornier was always silver. Are there any surviving pictures from the period covered that could be scanned and added to this thread? If anyone is interested I have got my hands on a copy of the 'certificate of airworthiness' for Alf's Dornier Libelle. It's not so much a certificate but a letter and dated November 1930. Just to note...Alf never landed the aircraft on the Sigatoka train, (this would have been impossible as it was a water plane with no stabilising ability out of water), but part of the reason he bought the plane was because the trek through the rugged tropics supplying various areas with timber was arduous and occassionally, on his journey back, he would hitch a ride atop the train for a rest and fresh air...obviously the trains there run on "Fiji-Time". Further informaton can be read in Fiji's Aviation Strory By: Maurice McGreal. Information in that book was supplied by Alf's grand-daughter.